As people continue to line up and the iPhone 5 goes on sale around the globe, we have put together some of the sights and sounds from launches worldwide where customers are getting their hands on the first iPhone 5s released to the public. 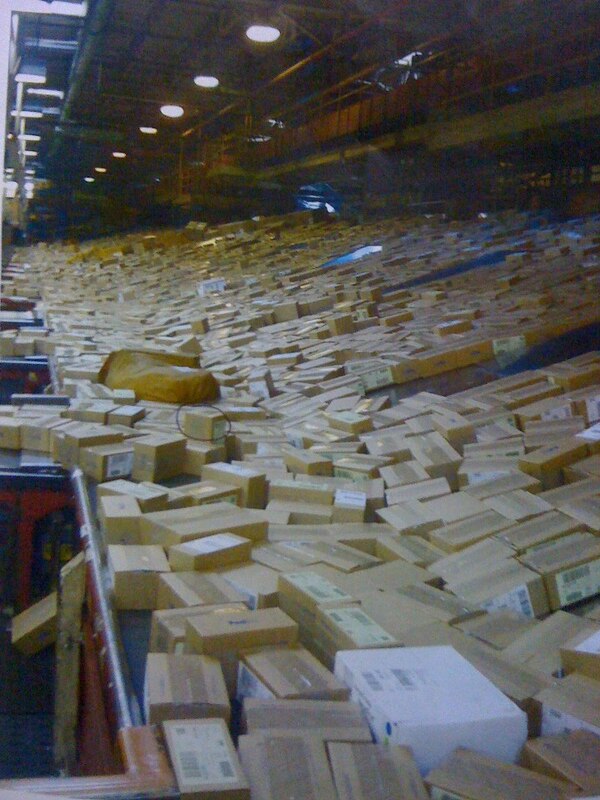 The image to the right is courtesy of Reddit, and it claims to show thousands of iPhone boxes making their way through the FedEx distribution center today. We see an image of the Woz lined up in Australia below, as well as images we snapped of lines forming at the Grand Central Apple Store this morning. An image from outside the Fifth Avenue store is above, showing police officers registering the serial numbers of customers’ new phones as part of its Operation ID initiative. The Gothamist has the full story. The device is already on sale and in the hands of customers in Australia, Japan, many locations in Europe, and now the United States. Preorders should arrive anytime, as we already have word from readers, such as those on T-Mobile in Germany, that pre-orders are hitting their doorsteps. We have a roundup below of what it looked like outside Apple Stores over the last 24 hours with videos and photos from the launch and first impressions.